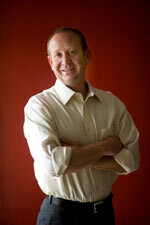 My name is Jason Ray and I have been involved with the real estate industry since 1991. I began my career in the Lafayette and Youngsville, LA area with the purchasing, leasing and selling of commercial buildings and land. This evolved into the purchasing, leasing and selling of residential real estate. My residential growth began in Scott, LA and grew to include the Lafayette and Youngsville markets with a concentration of properties in the University of Louisiana at Lafayette area. This area includes the Saint’s Streets, Freetown, Port Rico and downtown Lafayette. Over the years my knowledge of Acadia and Lafayette parish real estate has grown to include the parishes of Acadia, Iberia, Vermillion, St Landry and St Martin. I was born in Lafayette, LA in 1972 and raised in the Woodvale area. I began my studies at Woodvale Elementary and continued on to L J Alleman, Lafayette High School and The University of Southwestern Louisiana (USL). I completed my secondary education at University of Louisiana at Lafayette (ULL). I hold a Bachelor of Science Degree in Industrial Technology and a Masters of Science Degree in Engineering Management. In addition to being involved with Lafayette, LA real estate since 1991, I was an employee of the Louisiana State Fire Marshal’s Office, a Project Manager for a Mechanical/Electrical Engineering Consulting firm and an Estimator/Project Manager for a general contractor. Over the years my first love has always remained in the Lafayette, LA real estate market. I have a strong work ethic and appreciate the value of a dollar. I am honest and diligent in providing excellent service. Because of these characteristics and my background in real estate, engineering and construction, I am the first and last person you should contact for all of your Lafayette, LA real estate needs. I spend my free time raising my daughter and am highly involved in the local running and triathlon community. As an avid runner and multiple Ironman Triathlon Competitor I have the drive and determination to cross the finish line on a real estate transaction. To surpass all expectations of a real estate agent by treating my clients with the utmost respect, loyalty and style that is unparalleled in this industry. To promote the best interest of my clients. Including, but not limited to, obtaining the best price and disclosing all facts and information to assist them in making the best possible decision. To earn my clients loyalty by providing the finest service in the real estate industry. To always be cognizant of the fact that my honesty, loyalty, understanding, accountability and creativity are what separates me from the real estate masses.